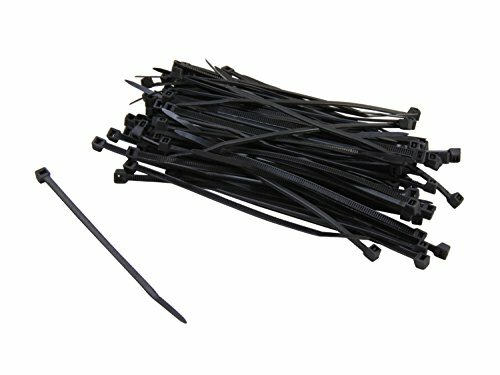 Save 1% on the Nippon Labs CT-4MINI-BK 4'' Mini Cable Ties, 100 Pieces/Bag, Black by Nippon Labs at Tobby News. MPN: CT-4MINI-BK. Hurry! Limited time offer. Offer valid only while supplies last. Cable ties make wiring and cable installations clean and well-organized. Use them to bundle and secure wire and cable, these ties are very easy to use; simply zip and snip. These ties are strong for high quality performance. Constructed from high strength nylon, these hook and loop ties are easy to use and reuse with their self-attaching design. Painlessly organize the cabling on your audio/video equipment stack, computer desk or in the networking closet. If you have any questions about this product by Nippon Labs, contact us by completing and submitting the form below. If you are looking for a specif part number, please include it with your message.